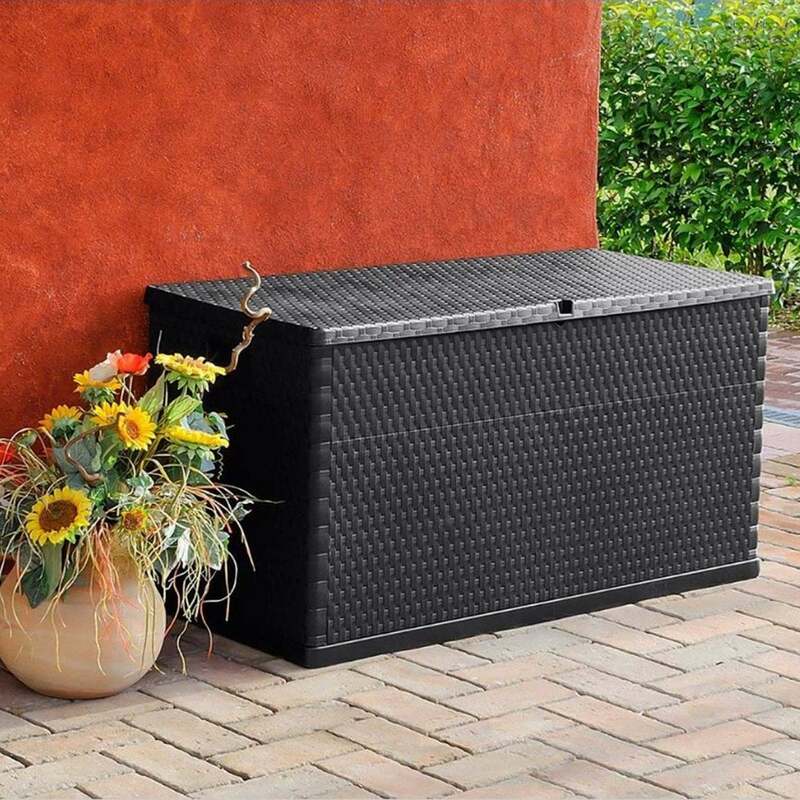 Forest Garden Rattan Effect Garden Storage Box 420L: The Rattan Effect Storage Box by Forest Garden is an attractive and convenient storage solution with a substantial 420 litre capacity. The Forest Garden Box features a rattan weave effect in a dark grey colour for a stylish finish and provides ample space for storing garden tools, accessories and toys. The 420L Storage Box is made from recyclable polypropylene for a weatherproof design, perfect for storing outdoor cushions and furnishings. The Forest Garden Box feature carry handles and wheels making it easier to move round and is quick and easy to assembly by one person.